This March we were treated with chilly weather, windy days, and some sunny ones as well. These sunny days are perfect to go on a little getaway or rush of in your newest adventure. However, when you are a fellow book lover like us, the nearest adventure is always within your nearest book. Excited to rush off on another adventure through the pages of your books this week as well? Because we have an amazing book to recommend to you this week as well – Stillness Speaks by Eckhart Tolle. 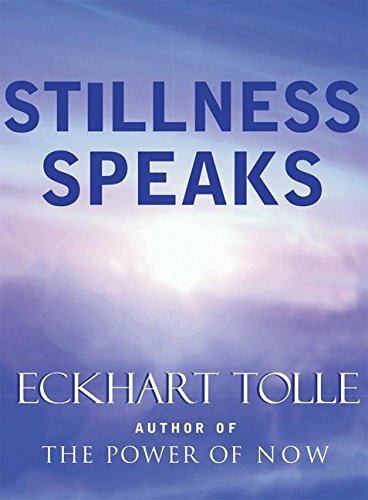 Why should you read Stillness Speaks by Eckhart Tolle? In today’s busy lifestyles, it seems that we all have many dreams that we shoot high to achieve. However, all this rushing from place to place, from task to task, has left us with not a single moment to spare for the time that matters – the now. Furthermore, it seems like we are used to be constantly rushing, never stopping, not even for a second. We have forgotten how to stay still, and who we are beyond the endless tasks that we mechanically take care of every day. These issues, have left us disconnected from who we truly are, they have made us forget our very essence. In his genius book, Tolle discusses these issues, and how to resolve them. He pushes you in a new, different direction, somewhere you don’t spend too much time – towards yourself. Short, simple and filled with wisdom, it will leave you with a different perception of your life and the world. We absolutely love all of his books, but this small treasure will keep you re-reading it over and over again, and every time you will come out with some new wisdom out of it. Definitely, a must read! Tune in to our blog to get more, free weekly spoiler-free book recommendations!